Finally…a Family Dentist You’ll Refer to All Your Family and Friends! If you are trying to find a quality dentist in Lake Elsinore, California, look no further. Lakefront Family Dentistry offers complete services for people of all ages. Dr. Derek B. Hauser, DDS, is committed to providing the best preventive mouth care solutions for those looking to improve or enhance their gorgeous smiles. Call (951) 244-9495 to schedule a consultation to get the best recommendation for a healthy, beautiful smile. Or Make an Appointment Online Today. It can be a daunting task to find a qualified family dentist with the skill, patience, and ability to provide excellent care to the most important people in your lives. Many simply don’t know where to start. Some are fortunate to get personal recommendations, but a large percentage rely on websites posting dentist reviews to help find a good doctor who meets all their needs. Maintaining excellent oral health should never be compromised or neglected. One should never “pull straws” to find a great provider. Quality providers put the needs of their patients first and deliver kind, compassionate care with an exceptional level of service. Dr. Hauser and our highly skilled staff know what families want and place a high emphasis on catering to the needs of all who trust their oral health care to us. Commitment to Exceed Service Expectations – We strive for 100% customer satisfaction and have friendly staff that takes the time to get to know you and your family. We address the concerns that matter most to you. Advanced Restorative Dental Technology – We house groundbreaking advanced dental equipment used daily by Dr. Hauser to create gorgeous, lasting smiles for many across the Inland Empire called CEREC. Unparalleled Convenience and Comfort – Our family dentist is proud to be one of few in the area qualified to offer same-day restoration procedures. When visiting us, we want you to feel the warm, inviting ambience carefully designed to offer tranquility and comfort. Experienced and Dedicated Staff – Most of the staff have families of their own and know what is expected and how to provide it to our patients. Unlike some facilities, our office staff takes the time to get to know the people we serve and go “above and beyond” to make sure you are treated with the highest quality of care possible. Be wary of medical facilities gaining mass clientele by promoting discounts and coupons that advertise low fees for services. Often, these are revolving door clinics with a high turnover rate of inexperienced staff and different doctors every week. This means you might not be able to see the same dentist again for quite some time! 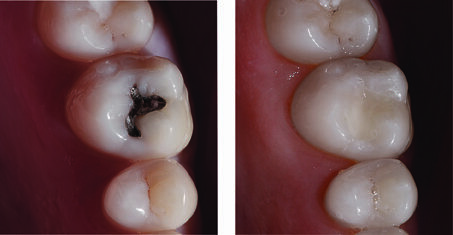 Need to Replace that Amalgam with a Nice, White Filling that Matches Your Current Teeth Color? Dr. Hauser Does an Amazing Job with Fillings, too. Lakefront Family Dentistry concentrates on delivering unparalleled services, focusing on quality care and total comfort. Our staff and family dentist has many years of experience ensuring patients’ needs are met. In fact, most of our full-time staff has worked here, providing consistent care for over a decade. Dr. Hauser personally serves everyone that comes through these doors. This is a single provider facility that does not have rotating practitioners because it takes away from the personalized experience given when consulting a familiar face you trust to provide superior service and quality care. During every exam, plan to relax in plush, premium, top-of-the-line chairs manufactured by A-dec, whose products are widely recognized as the “best in class” among medical professionals. Our entire office décor contains only premium quality furniture, which was hand selected with patient comfort in mind by Dr. Hauser, himself. Nearly all medical professionals recommend everyone visit a licensed oral practitioner every 6 months for a routine exam and teeth cleaning. Preventive maintenance is important because it helps decrease the incidence of cavities and gum disease. Preventive care typically includes digital mouth x-rays to help the doctor identify and correct any early signs of decay or other tooth damage. A registered dental hygienist uses professional grade tools to help remove plaque and tartar build-up, which is not typically removed by brushing and flossing alone. 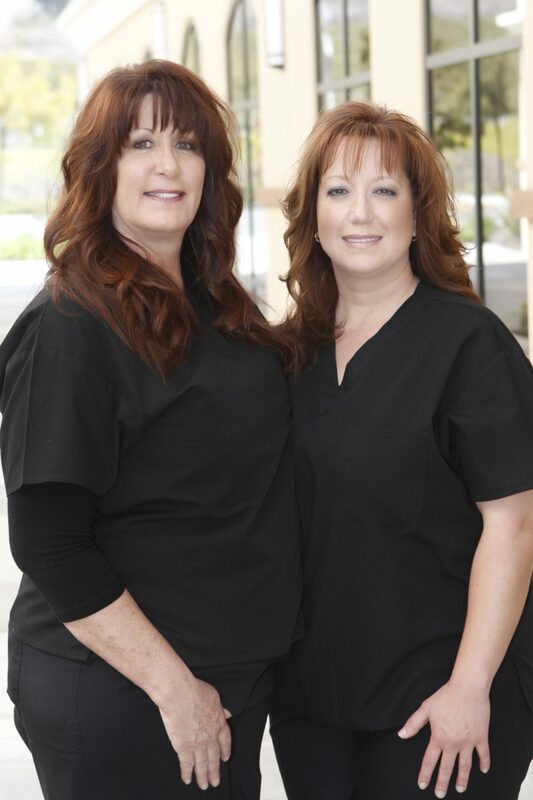 Many of the cosmetic procedures offered here are not typically offered by other providers in Riverside County. We proudly offer cosmetic solutions ranging from professional teeth whitening to complete mouth transformations. Our facility proudly features ground-breaking, advanced technology that only 7.5 percent of doctors in the country are qualified to use at their site. Dr. Hauser uses the one-of-a-kind CEREC system that delivers onsite, factory grade manufacturing equipment, aided by revolutionary computer software. While most dentists require multiple visits to place crowns, veneers and other restoration procedures, our patients love the benefits of using CEREC technology. This means you save precious time and receive high-quality, finished products guaranteed to restore tooth functionality and return impeccable smiles, in one visit to our office. Dr. Hauser looks forward to becoming your chosen partner in helping maintain excellent oral health. Please call (951) 244-9495 and schedule an appointment with the leading dentist in Lake Elsinore, CA, or make an appointment online with us today!